Biologist Richard B. Primack will present “Climate Change Comes to Thoreau’s Concord” on Apr. 1 at 6:30 p.m. in Fulton Hall, Room 511. 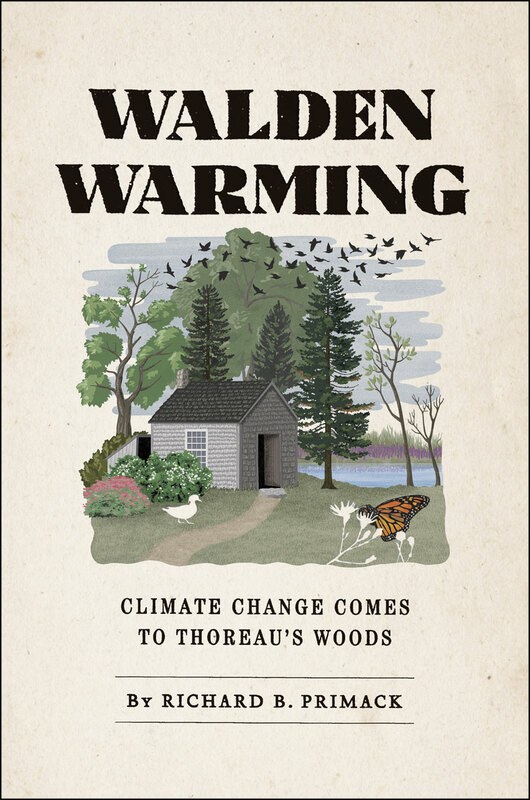 Primack is the author of Walden Warming: Climate Change Comes to Thoreau’s Woods (University of Chicago Press), which uses the notes Thoreau made years ago to demonstrate the effects of a warming climate on Concord’s plants and animals. In his book, Primack describes how many wildflower species that Thoreau observed have declined in abundance or have disappeared from Concord and how warming temperatures have altered the dates when ice departs from Walden Pond. Primack will combine photography and Thoreau’s quotes into his scientific talk, which is sponsored by BC’s Environmental Studies Program. This entry was posted in Guest Authors and tagged climate change, environment, science, Walden. Bookmark the permalink.